Although the base CTS Cadillac is redesigned for 2014, the CTS-V will have to wait an additional year before the V model gets the face-lift. 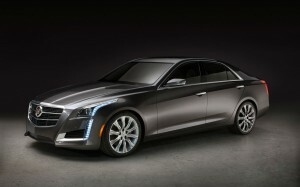 Below are the standard features that will be included in the 2014 Cadillac CTS-V sedan as of May 2013. It looks like the 2014 CTS-V will be a carry-over from 2013 with some minor color and option changes. Codes listed in the shaded column titled Ref. Only RPO Code are for internal use only and should not be ordered.